I am a trainee solicitor in the Residential Property department in Brighton. I joined the firm in October 2016 as a paralegal assisting primarily in the Corporate and Commercial department but have also supported the Family, Property and Dispute Resolution departments. I am undertaking a two year training contract. I am currently in the Residential Conveyancing department, my first seat having been in the firm’s Family department. I work closely with Carol Blakey and Dominic Mercer. 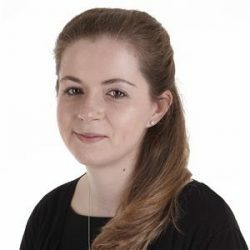 I studied Law at the University of Exeter graduating in 2014 before moving on to complete the Legal Practice Course at the University of Law, London Bloomsbury. In my spare time I can usually be found either horse riding on the Downs or swimming. When time permits, I also love to bake and enjoy creating new recipes for friends and family.